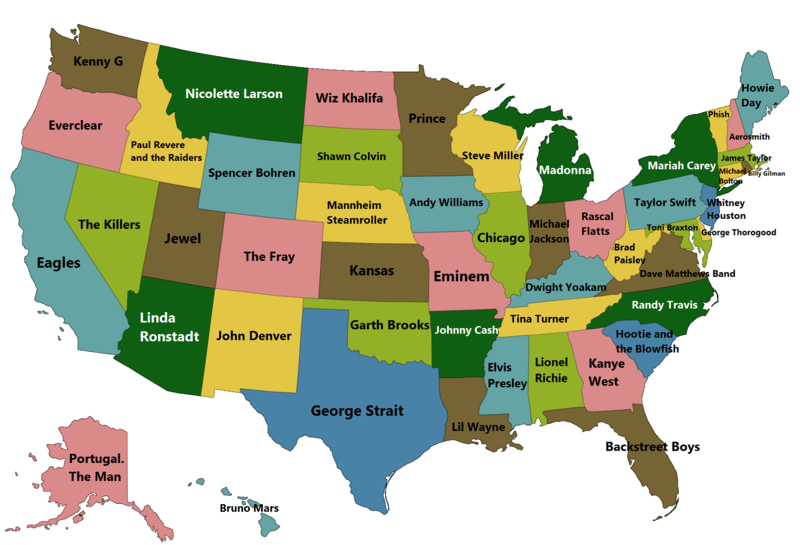 The map above shows the most famous mythical creature or animal in each US state. It was created as a new bestiary, literally a compendium of beasts, for the the United States. 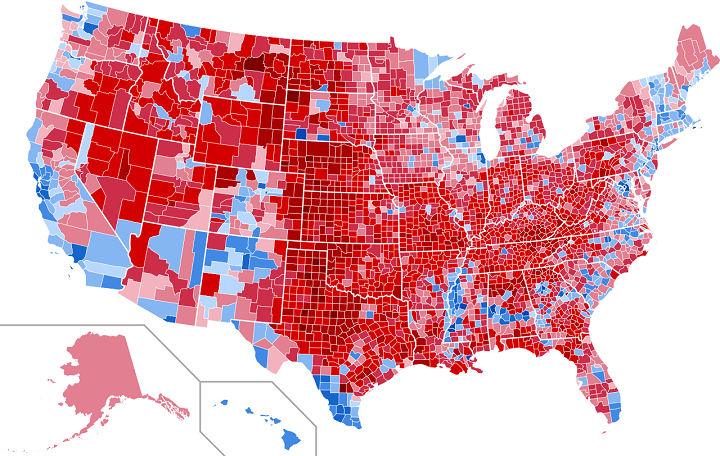 The map above shows the percentage of voters in each state who voted in the 2016 presidential election but didn’t vote for either Hillary or Trump. 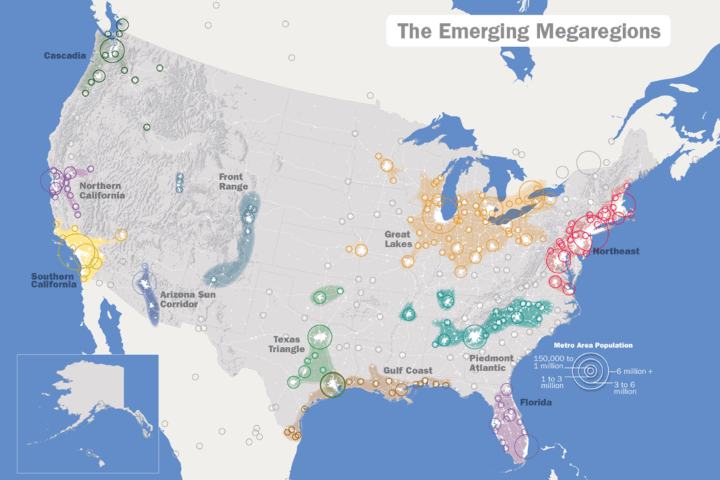 The map above shows the Regional Plan Association’s list of 11 Mega-Regions of the United States as part of their America 2050 project. 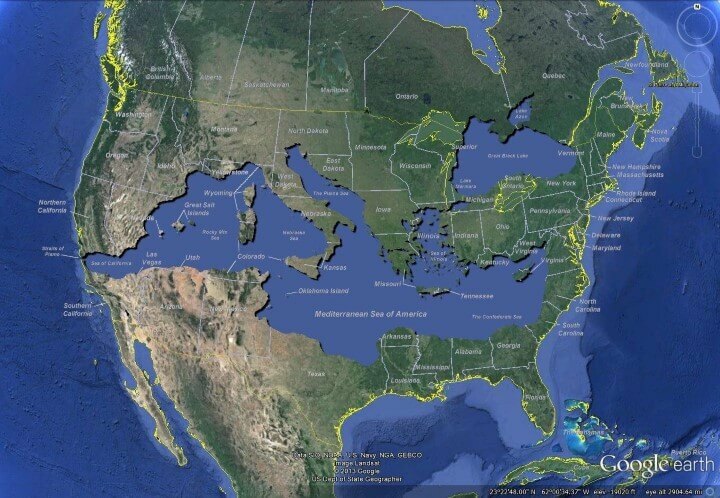 The map above shows just how big the United States is or just how big the Mediterranean Sea is, depending on your perspective. And it should not be confused with the existing American Mediterranean Sea which is the the combined water body of the Caribbean Sea and the Gulf of Mexico. 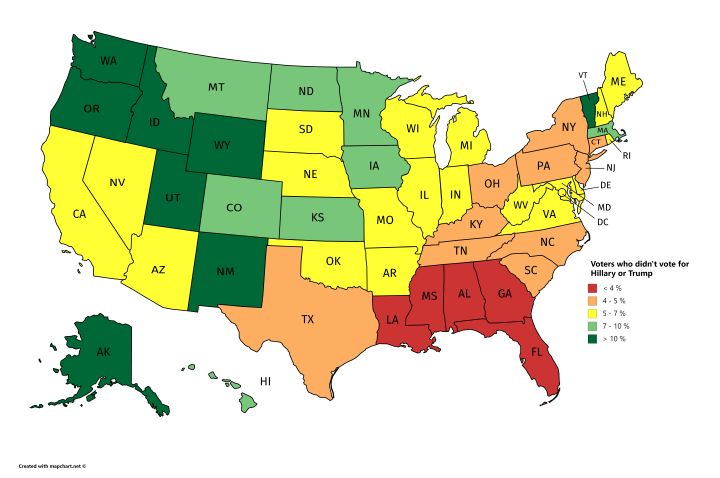 The map above shows the different highway route marker shield designs used by each US state for their own state highways. 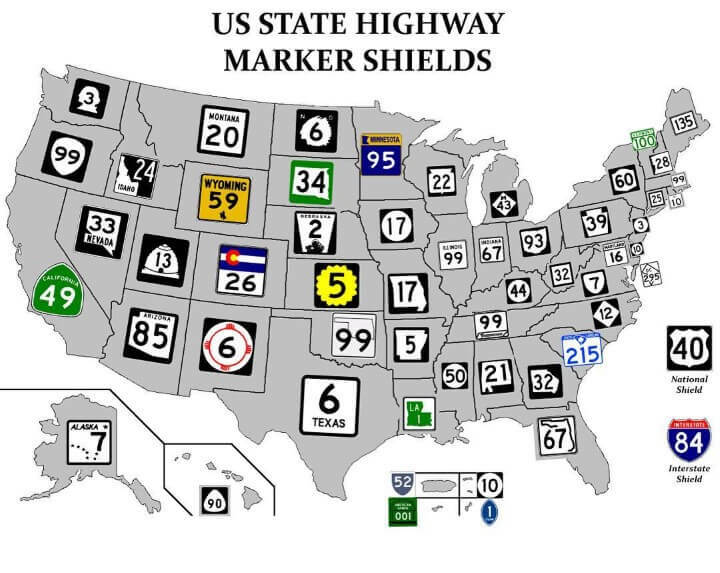 While Interstate and US Numbered Highways use standard designs across the country, but the same can not be said of state highway markers. 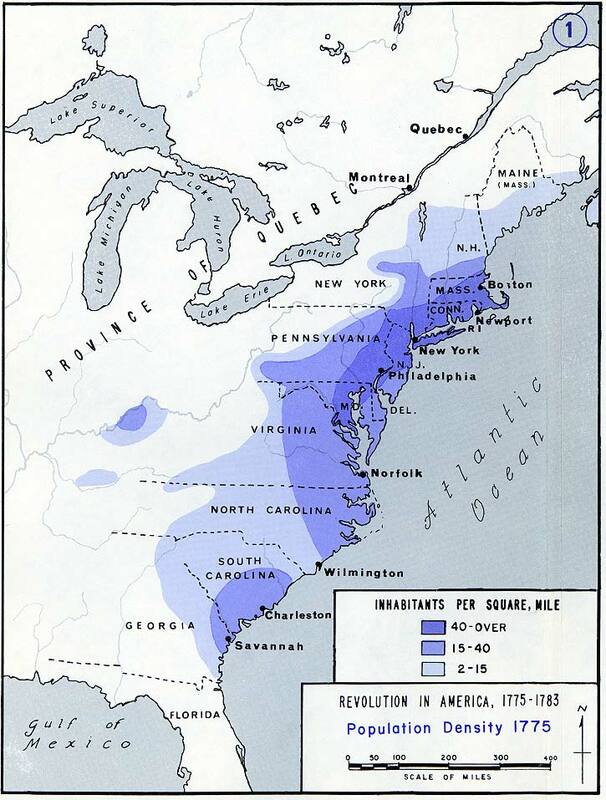 The map above shows the population density of the original thirteen American colonies, the year before they declared independence. 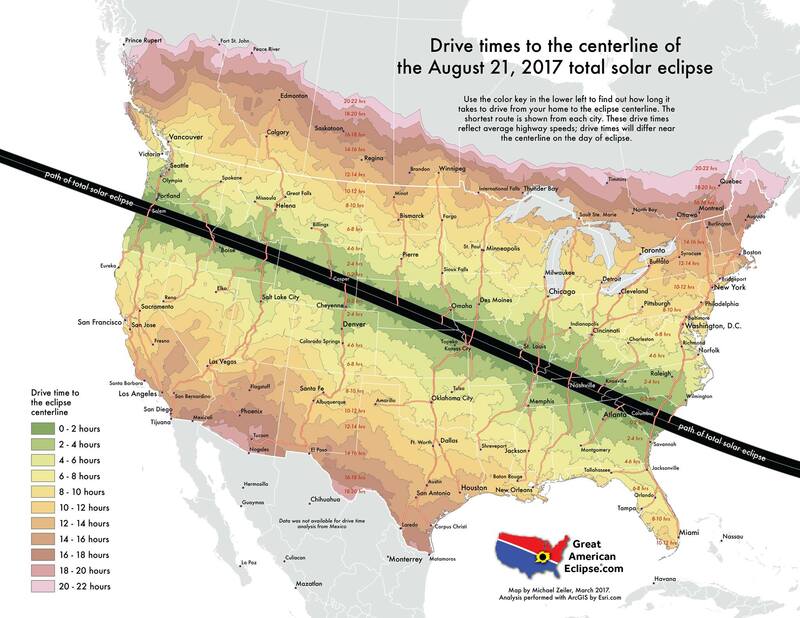 Even back then, what would become the Boston–Washington Corridor was clearly evident. 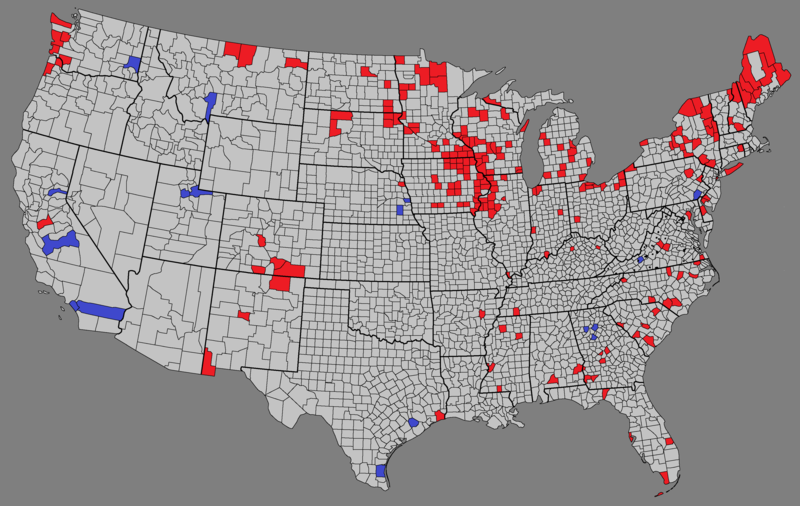 The map above shows which counties switched party in the 2016 US Presidential election compared to 2012. Red counties switched from Democrat to Republican, blue counties switched from Republican to Democrat and the vast majority in grey did not switch parties.